Hello my lovelies! It's a quiet Monday in my neck of the woods. The weekend was relaxing and work wasn't too bad today, so I'm full of energy. Today's blue manicure has a very interesting story. Could you believe that there's a connection between Dublin and giraffes? Me neither. Yet for me these two will always be connected. And here's why. About a month ago, I was away for a confference and visited the beautiful city of Dublin. While I was there I picked up my very first Wet 'n Wild polish. I was extremely excited to find this brand over there because I wasn't expecting it. I also went to the Dublin Zoo, where I met tons of giraffes. I really loved the habitat they have there, with tons of space and no cages. Here's a photo of me with one of them. Excuse the messy hair. After I got home from Dublin I received some stamping plates from the Born Pretty Store, one of which was plate BP-L010, the Aztec plate that contains tons of tribal patterns and also a giraffe one. I thought that was a brilliant coincidence so I paired the giraffe image with the polish I picked up from Dublin and that's how this manicure was born. The polish is called I Need a Refresh-Mint and comes from the Megalast line. 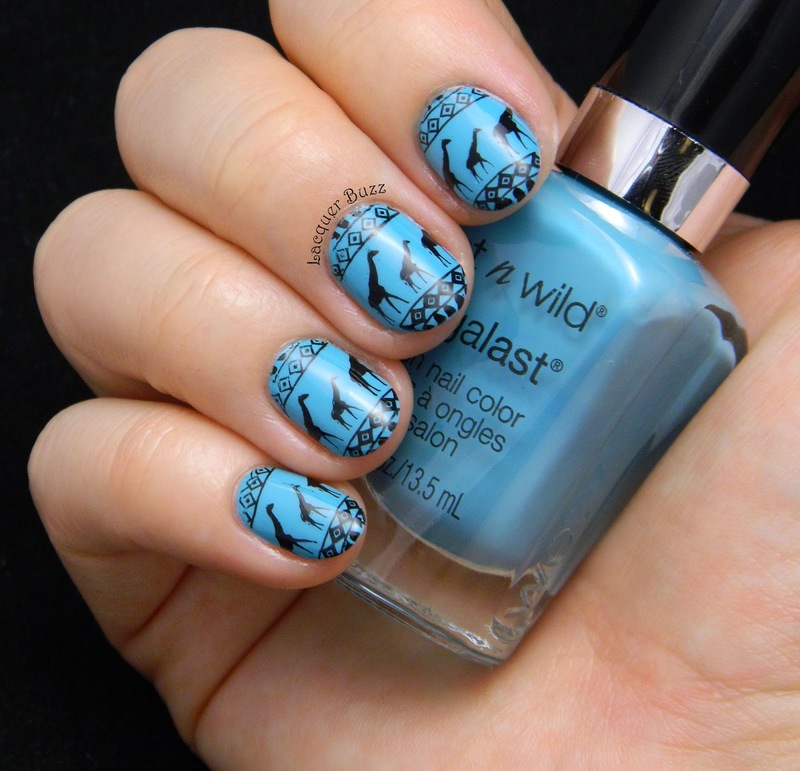 First off, there's nothing minty about this polish. It's a gorgeous turquoise creme. It's a bit more green in real life compared to my pictures so I'd say it's the perfect shade of turquoise. The formula of this polish is absolutely great but the brush is a mess. It's wide and curved and awfully cut. Mine has a few hairs that stick out and make application a chore. It would probably apply like a dream if the brush wasn't that awful. 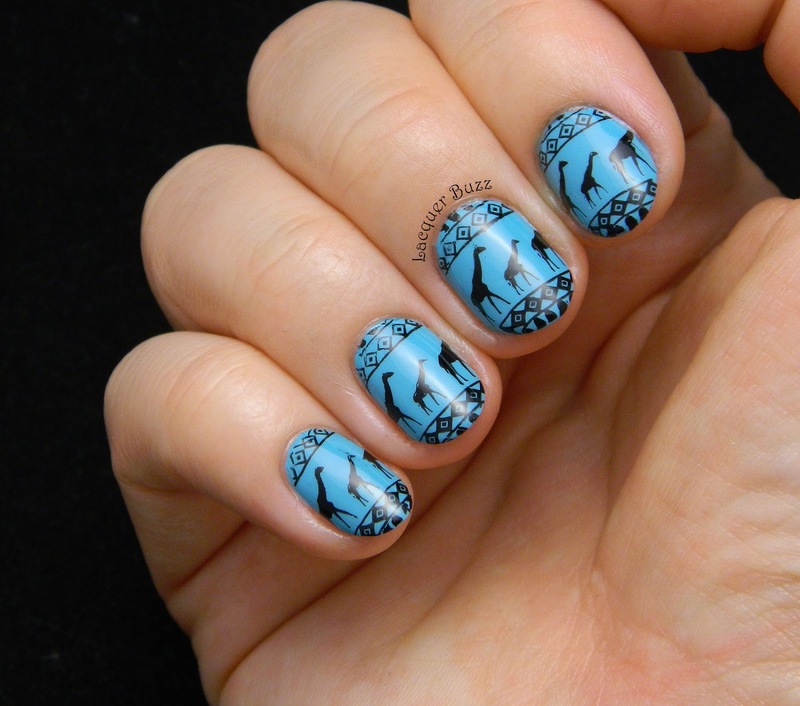 I did two coats and stamped the giraffe image using Konad Black. I wore this manicure for a week and I can't begin to tell you how many compliments I got for it. There's no way these nails can go unnoticed. I really hope you enjoyed them and my little story. Don't forget to use code MFL91 to get 10% off you Born Pretty Store purchase. And check out the other Monday Blues of June in the links below. Just gorgeous! I created a similar manicure like this a while ago too. 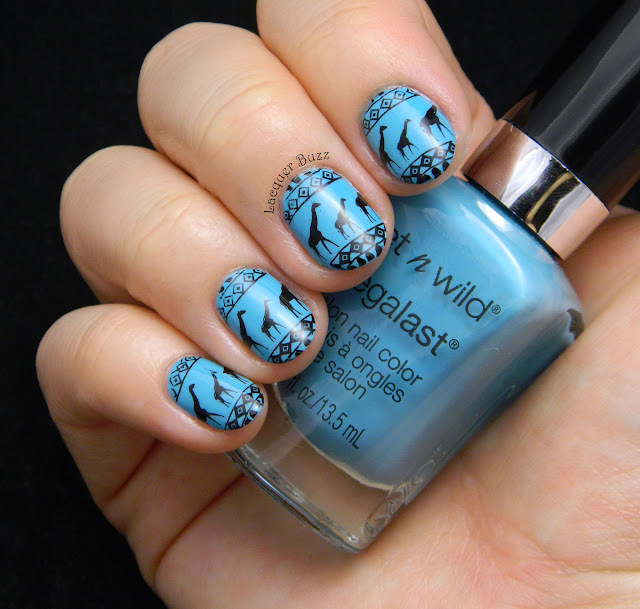 Really cool mani!! Love your hair color! Glad you had a good weekend ;0).